What Is GRE Score Select? GRE ScoreSelect is the way in which you’ll send the GRE scores of your choice to schools. With ScoreSelect, each time you take the GRE, you can choose which scores you’d like schools to see. This means that, if you’ve taken the GRE three times, you can choose to send only your most recent scores to schools, or only your second scores, or all scores, etc. Schools won’t see if you’re choosing not to send scores from a particular test date, so if you’ve taken the GRE three times and choose to only send your best scores, they wouldn’t know you’ve taken the GRE two other times since they’d only see one set of scores. ScoreSelect is available for both the General GRE and GRE Subject Tests. 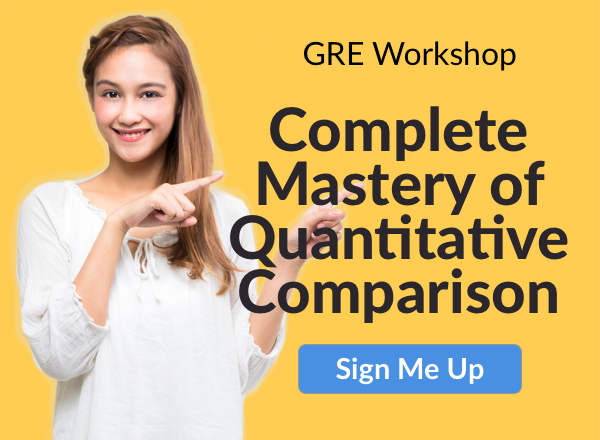 How Does GRE Score Select Work? Immediately after you take the GRE, when you’re still sitting in front of your computer at the test center, you’ll see your unofficial scores for the Quantitative Reasoning and Verbal Reasoning sections (these unofficial scores are almost always the same as your official scores). After seeing your scores, you’ll have the option to send scores to up to four schools for free. When sending scores at the test center, you can choose to send all your scores or only your most recent scores (from the exam you took that day). You can also choose not to send any scores if you aren’t happy with how you did. After you leave the test center, and any time for the next five years (the length of time GRE scores are valid for), you can choose to send scores from your most recent test, from all the GREs you’ve taken, or from any previous GRE test you’ve taken (an option not available at the test center). Each score report will cost $27. Be aware that, if you choose to send scores from a certain test date, scores from every section of that GRE will be sent. So if you took the GRE on March 10th, were really happy with your Quantitative Reasoning and Analytical Writing scores, but didn’t do that well on Verbal Reasoning, you can’t choose to not send your Verbal Reasoning scores if you want schools to see your other scores from that test date. For each test date, it’s all or nothing. How Do Schools Feel About GRE Score Choice? 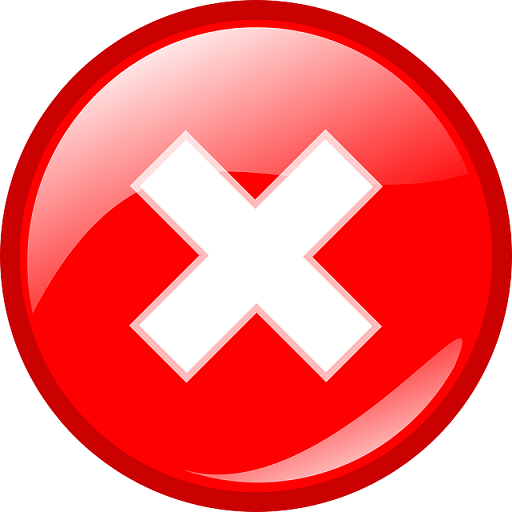 ScoreSelect gives you the power to withhold scores from certain test dates if you don’t want schools to see those scores. That can be a great benefit for you, but how do schools feel about this? In general, most schools don’t have a problem with your using GRE Score Select and choosing not to send all your GRE scores. GRE scores are typically somewhat less important for grad school admissions than SAT/ACT scores are for undergrad admissions, so most schools are more relaxed about GRE scores even if they have stricter requirements for undergrads sending SAT/ACT scores. I researched the GRE score policies of numerous grad programs at Ivy League schools, large public universities, and small private schools, and I could not find any school that required students to send all their GRE scores (although many schools hadn’t updated their website since ScoreSelect began being used and erroneously state that all your GRE scores will automatically be sent to schools.) Some schools only accept a certain number of GRE scores, which can make ScoreSelect a necessity if you take the GRE multiple times. One example of this is Harvard’s Graduate School of Education which only accepts up to two GRE scores from each applicant. It is possible that some school out there does require applicants to send scores from every GRE you’ve taken, and if you’re applying to one of these schools you should comply with those rules. To check the guidelines of the schools you’re applying to, contact an admissions officer or check the admissions page of the program you’re interested in. This information will often be found under “Admissions Requirements,” “Admissions Procedures,” or something similar. Basically, most schools understand that many people take the GRE more than once, and they are fine with you only sending your best scores, so this shouldn’t be a big worry when using ScoreSelect. What Does GRE Score Select Mean for You? Now you know all about GRE ScoreSelect and how it works, but what does this mean for you? Below are the three most important ways ScoreSelect affects you. The GRE score choice program is one of the most flexible programs out there when it comes to sending standardized test scores. You have a lot of control over what schools see and what they don’t see when it comes to your GRE scores. This means that it’s perfectly acceptable to wait until you’ve gotten GRE scores you’re happy with before you send any scores to schools. Unlike you may have had to do with your SAT or ACT scores, you aren’t required to send any scores you’re not happy with, so you won’t have to worry about them affecting your application. Immediately after you finish the GRE (when you’re taking the computer version), you will see your unofficial Verbal Reasoning and Quantitative Reasoning scores. After you look at your scores, you have the option of canceling them, say if you were very disappointed with how you did. If you cancel your scores, they will be removed from your records, and it will be like you never took the GRE that day. Because of ScoreSelect, there is no reason you’d need to cancel your scores. You’ll see your scores before you have the option of canceling them or sending them to schools, and, if you’re really not happy with them, just don’t send them to anyone. ScoreSelect gives you that option, so there’s no need to consider canceling your scores. This can be helpful because, if you for some reason change your mind and end up deciding to use those GRE scores after all, they’ll still be available for you, which isn’t the case if you had canceled them. As mentioned above, the vast majority of schools don’t require you to send scores from every GRE you took, and ScoreSelect lets you easily pick and choose which scores you want schools to see. If you have a bad day in the test center and aren’t happy with your scores, you don’t need to send them, and schools will never see them. You’re free to take the GRE again without worrying about what schools will think. This doesn’t mean you should take the GRE willy-nilly though just because schools won’t see how many times you took it. First of all, it’s only possible to take the GRE five times within a 12-month period, and there needs to be at least 21 days between each test date. Secondly, taking the GRE over and over isn’t a good use of your resources. It will cost you $205 every time you take the GRE, and you likely (hopefully) put in hours of studying as well. You have better things to use your time and money on than taking the GRE over and over again. Your goal should be to prepare well for the GRE, go into test day with a plan to do your best, but knowing if you need to retake the test, you won’t have to worry what schools think. GRE Score Select is a score reporting system that allows you to send GRE scores from whichever test date(s) you want schools to see. Schools won’t see when you choose not to send GRE scores from a certain test date, so you don’t have to worry about them seeing how many times you took the GRE. ScoreSelect gives you a lot of control over what you do with your GRE scores, eliminates the need to cancel scores, and allows you to retake the GRE without worrying what schools think. Now you know how to send scores, but how long will it take for schools to receive them? Learn how long it takes for your GRE scores to be sent and why this is important for your grad school applications. Thinking about taking a GRE Subject Test? Check out our guide to learn all about Subject Tests, who should take them, and why they’re important.